Milwaukee, Wisconsin-based Painted Caves have earned a reputation for their highly original, Arab-American music and mesmerizing live performances. 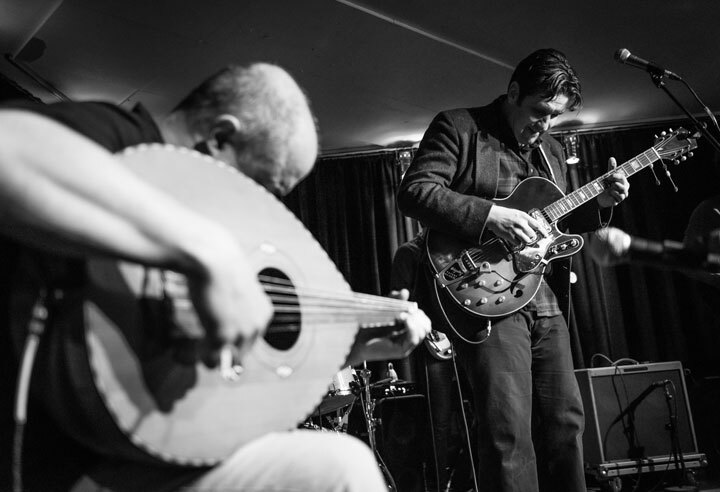 Built on a foundation of Western experimentation and Middle-Eastern tradition, the group uses traditional folk and jazz instruments (oud, daf, trumpet, flute) against a backdrop of hypnotic rhythm (guitar, bass, percussion) and dreamy, uplifting songwriting. The band's self-titled debut release (released March 31st 2015 on Amarrass Records) has been a fixture on college radio stations in the US and was on the CMJ College Radio Charts in summer 2015, with radio plays on BBC, PRI, WBEZ, and many more. A special edition run of hand-cut vinyl was released in April 2017, made in India! 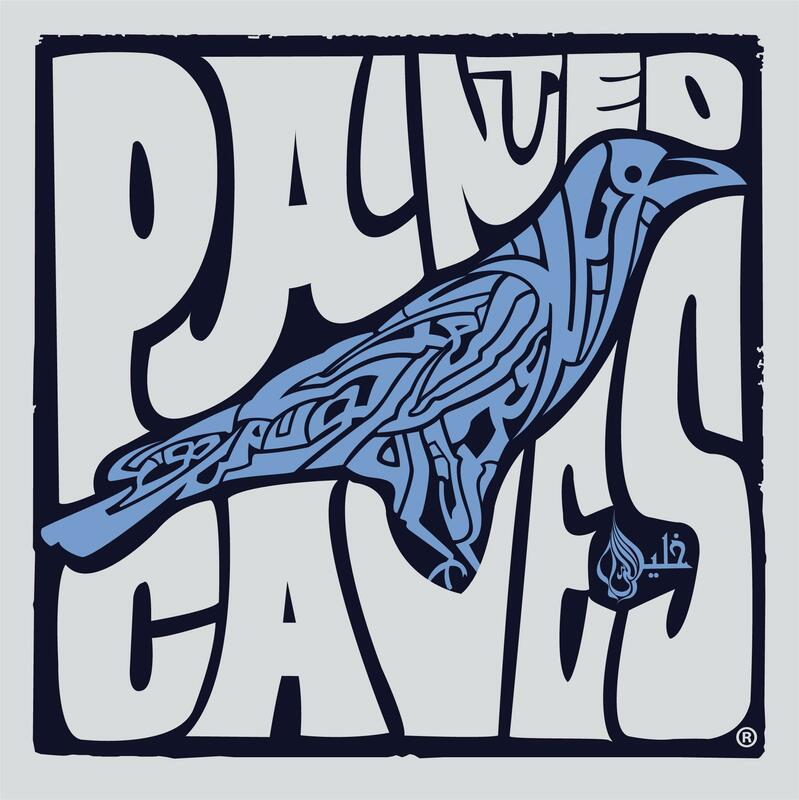 Painted Caves have played major festivals across the US Midwest including Summerfest (2015, 2017), Milwaukee Psych Fest, Marquette Waterfront Festival, River Rhythms, Chill on the Hill, Lake Moon Festival, Orton Park Festival and more. The group made their international debut at the Amarrass Music Festival in New Delhi, India in 2014 and made its European debut in March-April 2017, with stops in Belgium and Denmark. The band is currently planning it's next tour in Europe and US for Spring 2018, as it gets the second album ready for release! Like the official house band for the North African Surfer's Guild, Painted Caves navigates the desert sands out of the Near-East, into the African plains, and out beyond the great Western Ocean...Primitive Music For Modern Machines. "Painted Caves were a highlight of the Orton Park Festival in 2016. Their unique, mystical sound, which seamlessly incorporates so many musical subgenres, was perfect for our festival. The audience loved them." - Dan Hobson, Festival Programmer@OPF, Madison, Wis.
Public Domain: Painted Caves perform "Nobody Knows The Trouble I've Seen"
This installment features Painted Caves performing "Nobody Knows The Trouble I've Seen," a spiritual that dates back to the days of slavery in America. Though the song's composer and year of origin are unknown, it was published back in 1867. Since then, the sorrowful song has been covered by Louis Armstrong, Sam Cooke, Patti LaBelle, and The Blind Boys Of Alabama. The video was shot, recorded, and edited by Cheston Van Huss of Effigy Media. Grant Steskal engineered lighting. Travis Whitty produced the opening sequence. Public Domain is sponsored by Colectivo Coffee Roasters. Painted Caves - Najma (Live at Amarrass Music Festival '14) .. a new song from the Milwaukee-based Arab-American psychedelic surf rock band. 'Blood in the Water' - Painted Caves, live at the Fresh Thyme Block Party in Milwaukee, June 2016. Al Nakba (The Inheritance of War) - Painted Caves, live at Fresh Thyme Farmesr Market block Party in Milwaukee, 4 June 2016. (c) 2016 Amarrass Records. 'Painted Caves at Summerfest 2015 in Milwaukee, Wisconsin. Painted Caves perform 'The Jaws of Life' at the Johnson Controls World Music Stage at Summerfest Milwaukee on July 2, 2015. Painted Caves perform Najma (star) at River Rhythms Milwaukee on June 10, 2015. Milwaukee's Painted Caves new track 'Reincarnation', live at the 'Machine Demands a Sacrifice' at the Milwaukee Art Museum on Sat. Feb 7, 2015. Painted Caves perform Blood in the Water with special guest Madou Sidiki Diabate (Mali/kora) - the terrace jam sessions at the 2014 Amarrass Music Festival. The track is featured on the band's debut album 'Painted Caves' 2012/2014 Primitive Records/Amarrass Records. Milwaukee-based Painted Caves play Middle Eastern-influenced psychedelic grooves that more or less follow the Silk Road in reverse, back toward India. From their debut album 'Painted Caves' released on Amarrass Records. Video: Ankur Malhotra. Painted Caves - The Ocean, featuring Barmer Boys Manga 'Mangey' Khan (vocals) and Tarif Khan (dholak) with Lakha Khan (sarangi). Recorded live at the Amarrass Records Terrace Sessions in Gurgaon, India, November 2014. (c) 2014 Amarrass Records. | Audio/Video/Edit: Ankur Malhotra.